Q) What is the difference between Hypnobabies and other childbirth hypnosis classes? Q) When should I start Hypnobabies Classes? A) Anytime! 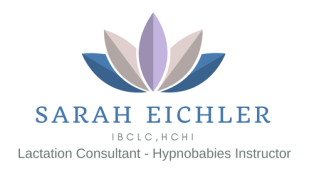 Some women take classes early in their pregnancy, and practicing Hypnobabies helps them to be relaxed, comfortable and confident for the rest of their pregnancies. Others start later, at 6 or 7 months, when they know they are ready to devote 30-40 minutes daily to practicing. Q) Can my Birth Partner come to Hypnobabies Class with me? A) Yes! We teach the Birth Partner right along with our Hypno-Moms. They learn what hypnosis is, (they experience it in class and get their own Birth Partner’s hypnosis audio track, to keep them calm and relaxed about pregnancy and childbirth! ), and how to support and help our Hypno-moms during pregnancy, the birthing itself, and even after the baby comes. They participate fully in each class, and with each hypnosis script during practices 3 times each week at home. Q) Will I be able to move around, and be awake and aware of my body and my baby during my labor, if I use hypnosis? A) Absolutely! Being in Hypnobabies unique “Eyes-Open Childbirth Hypnosis” is not like being asleep or detached from the sensations of your baby’s birth. You are awake and aware of everything going on around you, and you experience baby’s every movement. You remain deeply in hypnosis, confident and calm, even while moving and changing positions. Your Hypnobabies hypno-anesthesia allows you to experience all the power of childbirth without the discomfort. Q) How does Hypnosis for Childbirth work? A) Short version: Like computer data entry. If you want to create a document to use later, you open one, enter the text and save the contents in a “file”, then give the file a name. Later, when you want to edit that document, you find the file name and open it, add to the document text and save it again. When you are completely finished with your document, you find the file by its name, complete and ready to print out for your use. In Hypnobabies, our “files” are our medical hypno-anesthesia “scripts” in the form of hypnosis audio tracks and paper scripts, and all you have to do is listen to them. In doing so, you train your inner mind, just like entering text, what to accept. Each week, you add a little bit of training, just like the text in your document, and your inner mind creates a new belief system about childbirth. It accepts that the normal birthing sensations you will have when you give birth; pushing, pulling, stretching, pressure sensations, will indeed be there, but without discomfort attached to them. You train your inner mind to accept cues and techniques that will bring you deeper into relaxation and hypnosis, and when you use them on your birthing day, just like printing out your document, they are there for you automatically! Your mind is very powerful and is capable of creating the deepest physical relaxation possible as well as a very comfortable birthing experience. Use it! A) Long version: Download our free “What is Hypnobabies Hypnosis for Childbirth?” audio track, with a 20 minute explanation of what hypnosis and Hypnobabies are, and a very special gift – our free “Instantly Calm” Hypnosis Session, which allows you to actually experience deep relaxation and a very pleasant hypnotic state, as well as learn a special cue that trains you to become calm and relaxed in any situation, a special cue which you can use for the rest of your life! Q) Should I take a Hypnobabies group class or do the Home-Study course? A) Our Hypnobabies Home-Study Course for Expectant Mothers has being used with great success by thousands of mothers all over the world; anywhere English is spoken. It contains all of the basic Hypnobabies natural childbirth curriculum, hypnosis scripts and cues, but we suggest that anyone who lives near one of our instructors take our Hypnobabies Childbirth Hypnosis group class with a certified Hypnobabies Instructor (HCHI). More detailed information on every subject. Your questions answered by our instructors who are knowledgeable about childbirth, and trained in hypnosis. 5 Hypnobabies scripts in a booklet for use in daily Hypnobabies practice. Demonstrations of all Hypnobabies hypnosis techniques. Phone consultations with your Hypnobabies Instructor. Prenatal exercise demonstration and practice. Hands-on training for Birth Partners, who receive a “Birth Partner’s Guide” booklet for use during birthing, and the Birth Partner’s “Relax & Feel Confident” hypnosis audio track. In-depth explanations, demonstrations and practice of the “Abdominal Lift & Tuck” to avoid back labor and to encourage a posterior baby to turn. Optimal Fetal Positioning explanations and demonstrations to prevent posterior presentation. A Birth Rehearsal in Class # 6, which is invaluable for helping each Hypno-Mom fully understand and experience their Hypnobabies techniques in a simulated birthing scenario; complete with Birth Balls, changing positions, walking etc. The Birth Rehearsal is also great practice for the Birth Partner to use his deepening cues and other techniques that help the mom so wonderfully during labor. This helps build the confidence level of Mom and the Birth Partner tremendously. New Mother & Baby Care workbook, which includes information about postpartum care, new baby care, breastfeeding, bonding and more.